I’ve got a thing for creamy, custard-like sweets. The Italian dessert panna cotta is one of my favorites, so a recipe in this month’s Fine Cooking magazine, a Pumpkin Panna Cotta, caught my eye. The recipe from Fine Cooking features a sauce made with apples and apple cider but I decided to make the panna cotta without the sauce. 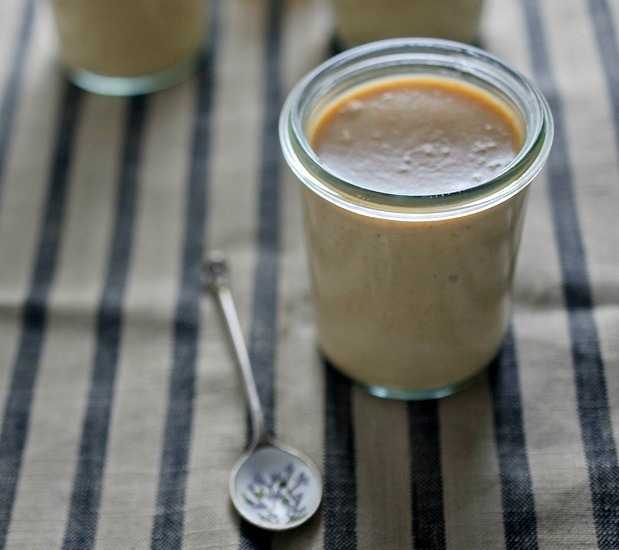 I often make my panna cotta in jars because I think it looks pretty, and so I don’t have to worry about the whole un-molding business. You are, of course, welcome to make yours in ramekins and then un-mold them…whatever floats your boat! 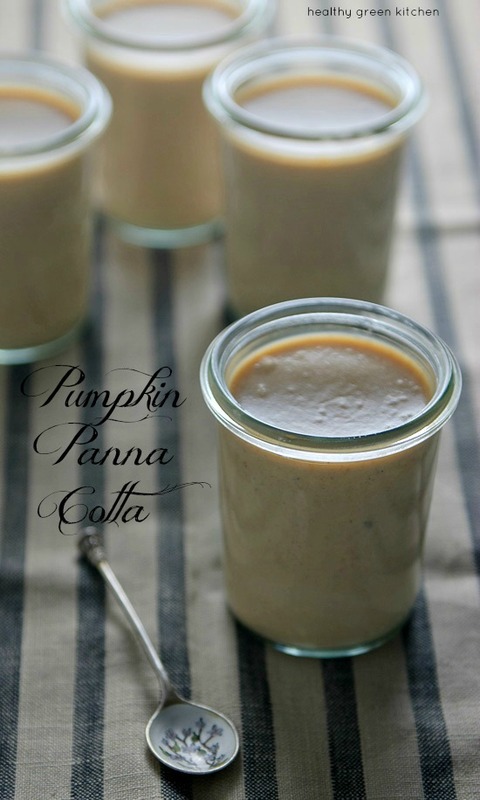 I found this pumpkin panna cotta to be plenty sweet without the sauce, but if you try it, I’d love to hear how it comes out. If you are having an intimate family dinner for Thanksgiving, this may be the perfect dessert. You could also double the recipe to serve more people. 1. In a small bowl, stir the gelatin into 1/4 cup cold water and set aside. 2. Whisk the cream, milk, brown sugar, salt, vanilla extract or vanilla bean and cinnamon in a saucepan over medium heat until just beginning to boil. 3. Remove the pan from the heat and whisk in the softened gelatin. Add the pumpkin and whisk everything together, then strain through a fine-mesh sieve into a bowl or 2-quart liquid measure (this step is optional- I skipped it). Divide among 4-6 small jars or ramekins (I used teensy Weck jars). Refrigerate until firm to the touch, covering with plastic wrap once cool, at least four hours or overnight. Tasty, love this time of year and all the flavors that come with it. 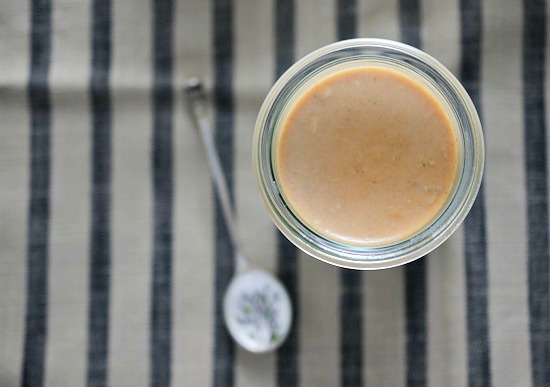 I love the spoons in your photo – simple gorgeous. Best of luck with (NaBloPoMo) – great job so far! Thanks Georgie…my mom gave me the spoons and I love them, too! When it comes to my favorite dessert it’s a toss up between creme brulee, creme caramel, and panna cotta. I just bought a container of gelatin so I might have to surprise Phil with this one night soon. Thanks! Let me know what you think if you make it, Nicole! Yummy – I love pumpkin desserts but am not a fan of pie crust. This is a great dessert for fall and winter. I am a fan of creamy desserts too, so this is right up my alley! Looks yummy! Has anyone tried this with coconut milk for a dairy free option?